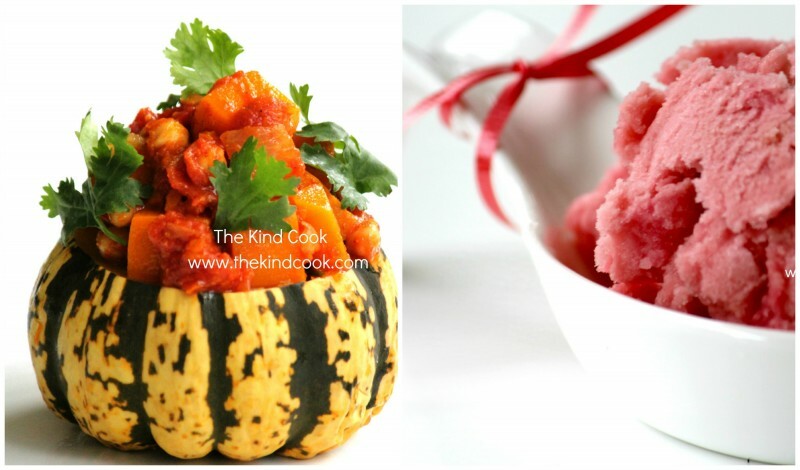 Recipes published in Wildfire Magazine’s November publication. 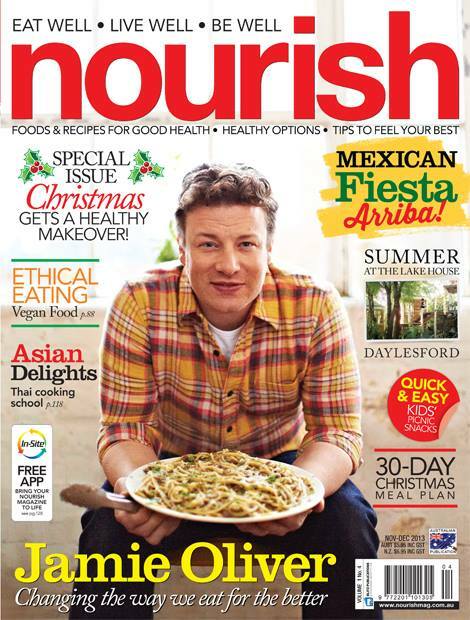 8 Mexican inspired recipes by The Kind Cook, featured in Nourish Magazine’s Xmas publication. 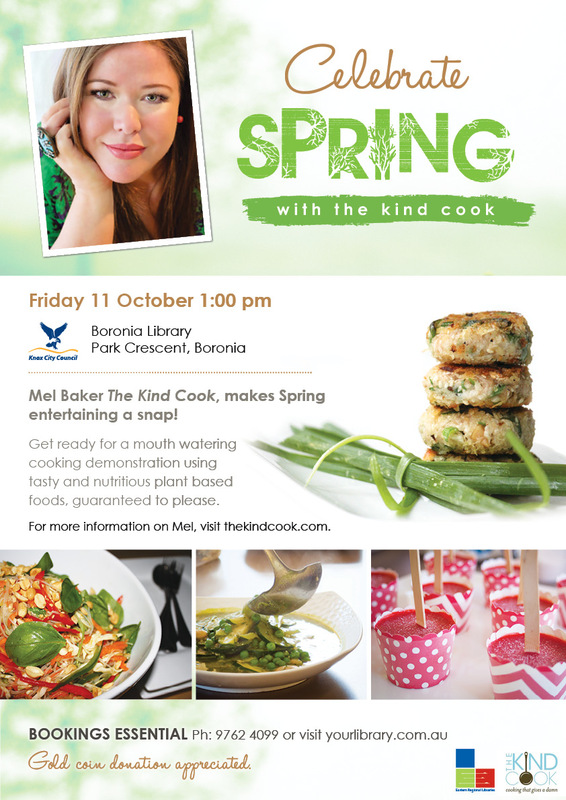 Victorian Government: Cooking class for the public at Boronia library. 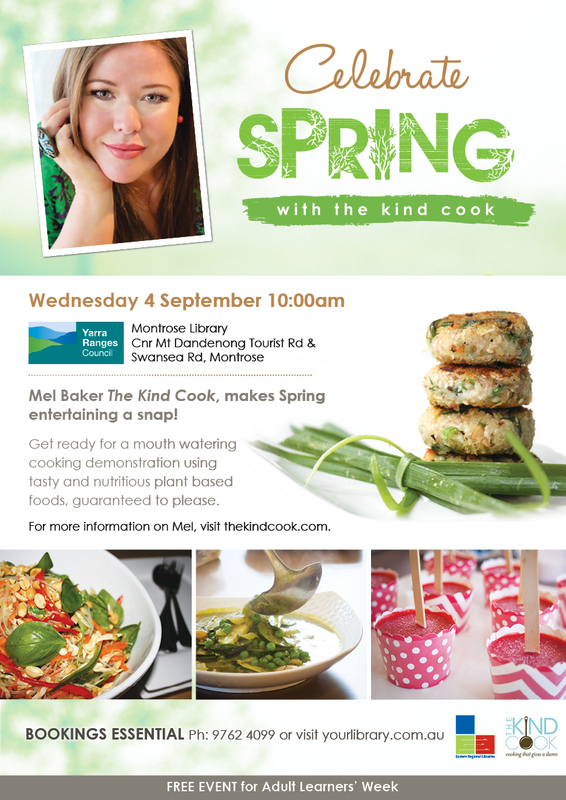 Victorian Government: Cooking class for the public at Montrose library. Victorian Government: Cooking class for the public at Healesville library. 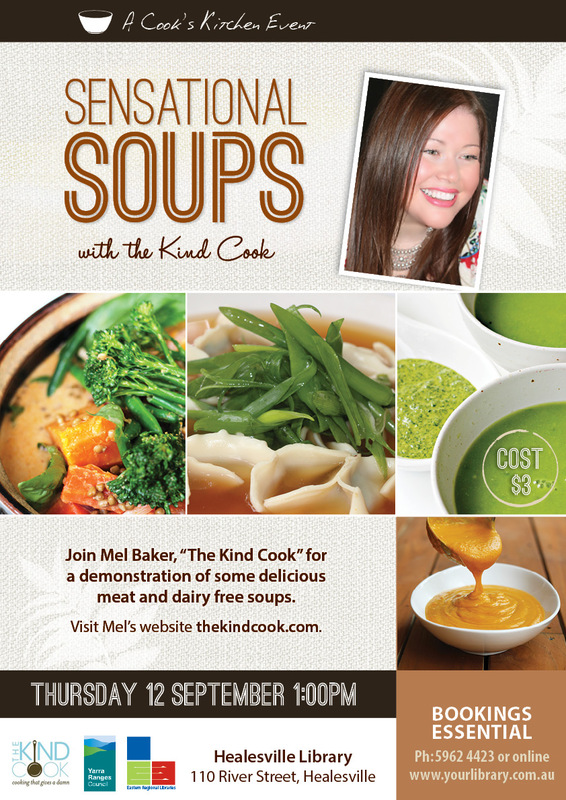 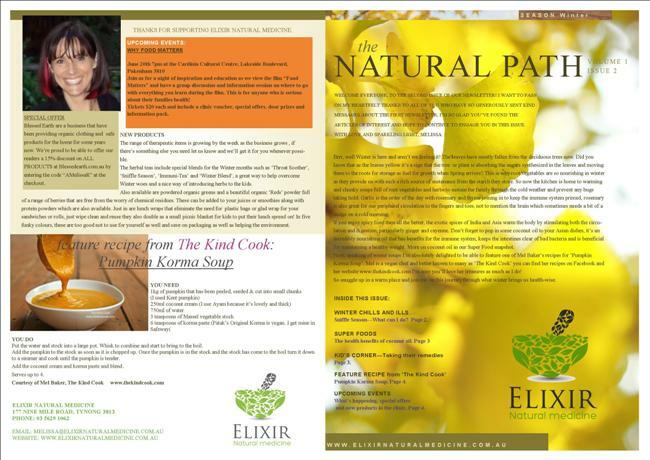 Featured in Elixir Natural Medicine’s newsletter. 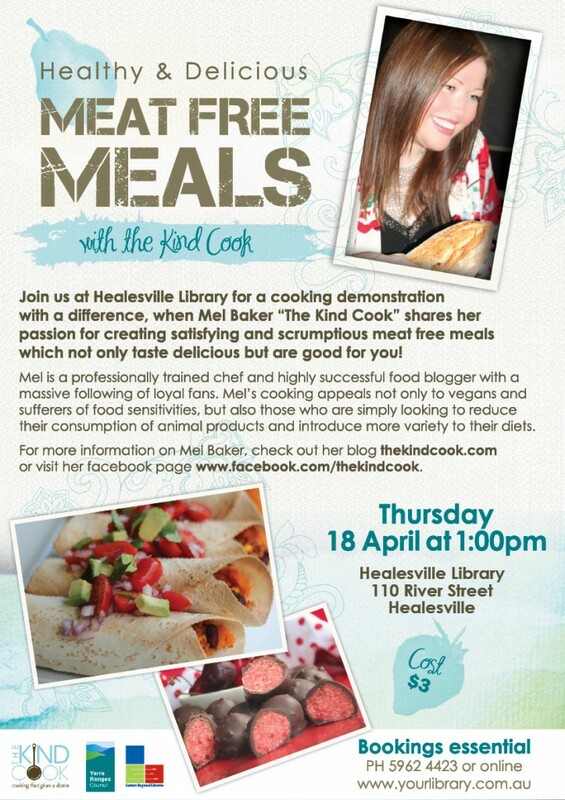 Victorian Government: Food demonstration for the public at Healesville library. 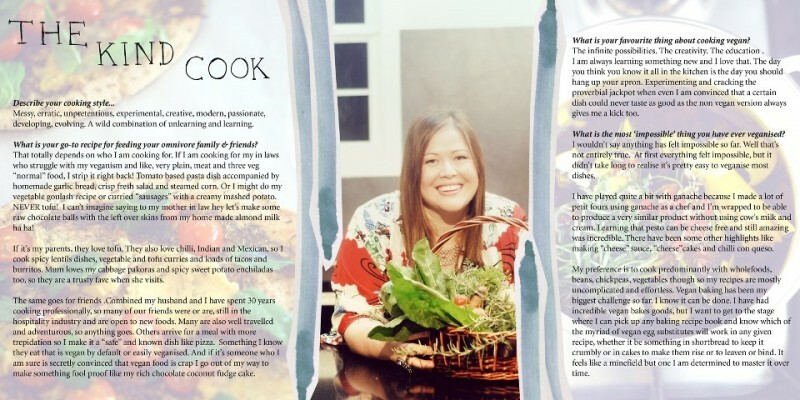 Recipes and food photography are being used by a PR company in the UK to promote plant based food to mainstream media, papers, magazines, etc.